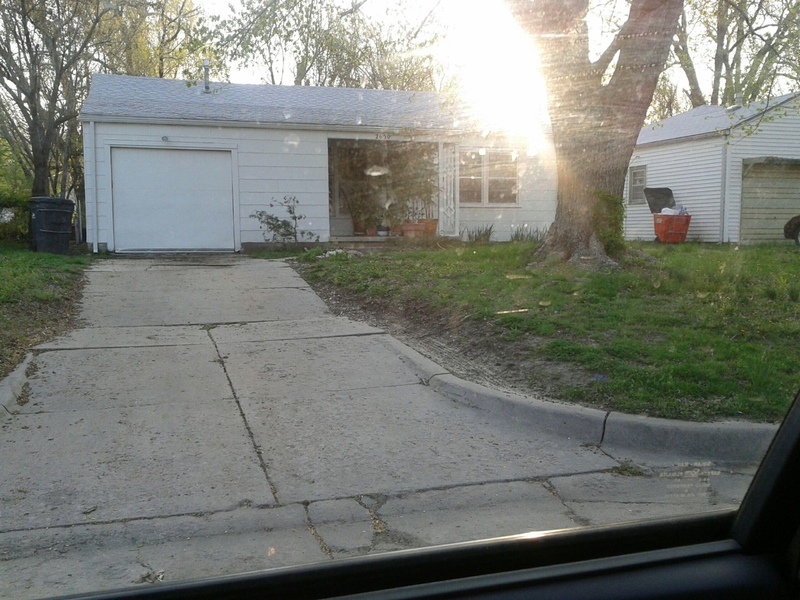 This morning I received a text from my mom with a picture of the first house I lived in. She was in the neighborhood at a meeting and decided to drive by. While we moved out of the house when I was somewhat young, the picture evoked many memories from the house… girl scout cookies stacked to the ceiling waiting to be delivered… evenings spent in the bathroom or hall closet waiting out tornadoes (of course the KS girl would mention tornadoes!) … mornings standing on that porch while dad let ME decide whether or not I was going to wear a coat … sharing a room with my sister. Thinking back on those memories makes me think about how our past impacts us in the present and is a part of who we are. For example, many of the memories I shared above have shaped who I am today and how I relate to my family and people around me. I grew up knowing my parents cared for me and supported and encouraged me. They likely would have much rather just paid for girl scout camp, but spent hours walking and driving us around to get orders and then to go back and deliver them. They taught me to work hard even if it meant they had to work hard too. Through things like knowing how to stay safe in a tornado, I learned to trust hat my parents would always do whatever it took to protect us and that God was our ultimate protector. Instead of forcing me to wear a coat when I didn’t want to, my dad encouraged my independent heart and let me go out on the porch and decide for myself… and live with the consequences of my decision. In Esther’s case, it was her Jewish origin… her “history” that allowed her to step up and save the entire Jewish race from destruction. She could have tried to deny where she came from, but that would have done no good for her, her family, or the Jews. She was called to be vulnerable and share her history in efforts to make an impact. We are created to shine and share God’s love wherever we go… that is our purpose. Sometimes the parts of our lives we least want to remember, that we least want to share, are the places through which God’s grace, forgiveness, love, and perfection can shine through most glorious. This Lenten season is a perfect time for reflection. Look back… are there any imperfections that you’ve tried to ignore? Are there parts of your history that you just wish weren’t there? Ask God to help you stop trying to amputate that part of your history but instead to heal from it and then use it as a part of who you are as you shine His perfect light into dark, imperfect lives around you. Lots to think about. Thanks, Bekah.